A spiritual man, Fr. Mercurious knows the only guarantee is from the hand of God. At the same time, his surgery to prevent a heart attack was in the hands of Muslims. 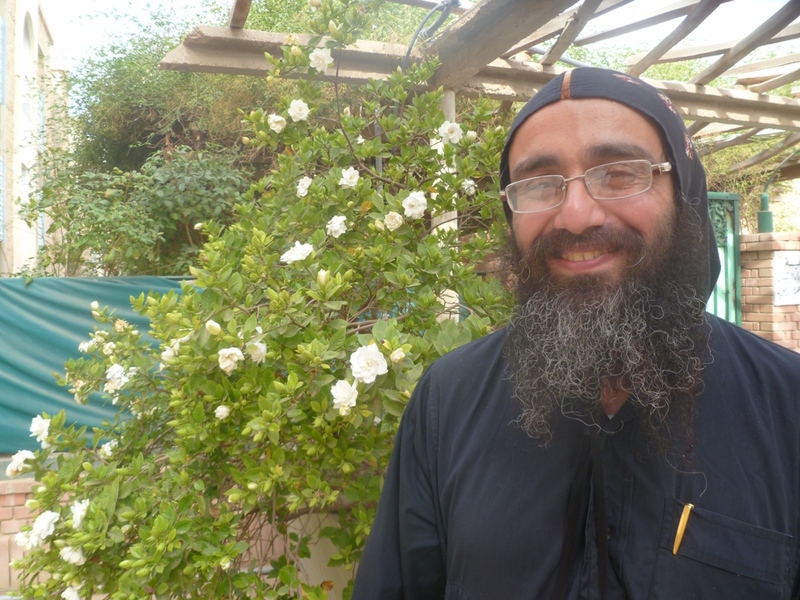 A few weeks ago the forty year old monk in the Monastery of St. Makarious in Wadi Natrun had open heart surgery. Suffering from high cholesterol, his doctor advised this course of action at the earliest date possible. With genetic propensity from his father, and narrow arteries from his mother, the simple diet of a monk was not enough to guarantee health. Fr. Mercurious did not intend it to be so originally, though this had nothing to do with religious preference. Like many Egyptians, he inquired first if he could travel to the US or UK for surgery. When embassy procedures did not go anywhere, his doctor recommended a specialist hospital in 6 October City, a new development outside of Cairo. The surgery went well. Muslim Egyptian doctors grafted veins from his arms and legs to bypass his arteries, which were blocked at 95%. They even gave him special deference due to his clerical disposition. It is not a remarkable thing, really. Well trained doctors demonstrate their skills on a human being. Unfortunately, it is often not the sort of story heard about Egypt. Fr. Mercurious related his operation in the context of the changing religious climate of Egypt. While admitting his isolation from the world, he keeps up with events through visitors to the monastery and their tales of political and social developments. Before entering the monastery after university studies, Fr. Mercurious stated he had only the best of relations with all Muslims he knew. Yet in the past several years he had the impression that the number of ‘extremists’ was increasing. Is this a function of real change in the character of Muslims, or of real change in the perceptions of his Christian visitors? Surely the two must be somewhat related. Dr. Mohamed el-Menissy is a Muslim doctor who volunteered at the field hospital in Kasr el-Dobara Evangelical Church near Tahrir Square during clashes in November. In asking him about his experience – not his faith – he insisted over and over again that Muslims and Christians love each other in Egypt. He was near desperate to get this message across to the West. He even gave me the phone number of his Christian doctor colleague so as to confirm their friendship. Of course Dr. Menissy is telling the truth of his experience, but does such single-mindedness betray a deeper reality frantically denied? Is he hoping the world to be right, if only by insisting it is? Perhaps it is as simple as rightful offense at media – both Western and Arab – which focuses on problems to such degree it obscures reality, perhaps even to the extent of transforming it. Speaking to media, perhaps Dr. Menissy wanted to transform it back. What purpose does this story serve, then? In highlighting a non-news event of a Muslim doctor operating successfully on a Coptic monk, do I help stem the tide of negative reporting? Or do I play into the narrative of distinction between Muslim and Christian? Fortunately, I carry no such burden. I tell the story of the monk because he is my friend and it is interesting. I tell the story of Dr. Menissy because it fits in this context and honors his desire. Both show a slice of life that is worthy to be known more widely. As for what these stories say about Muslim-Christian relationships in Egypt: They say the truth. It is not the whole truth, but it is an essential truth. The next time a church burns, it is important to acknowledge this as the truth also. One story balances another. Such complexity marks our own lives – we chafe at being reduced, simplified, or misunderstood. Let us grant the same grace to Egypt. After all, as these stories show, she shows much grace to her own. I wish a lot more of the news had articles like this!